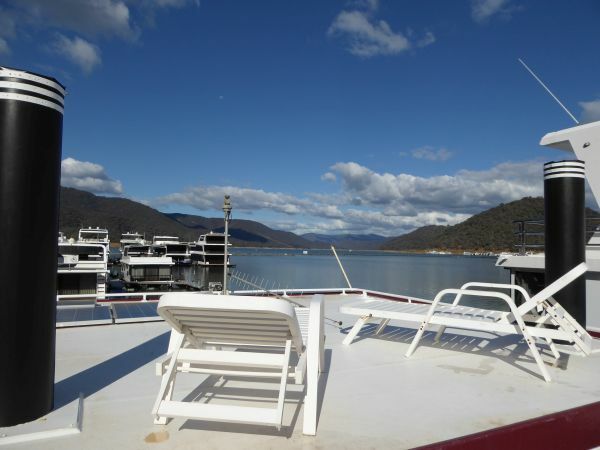 Have you ever felt like being the Captain of a Paddle Steamer of years gone by as you explore the remote hinterland of magical Lake Eildon? 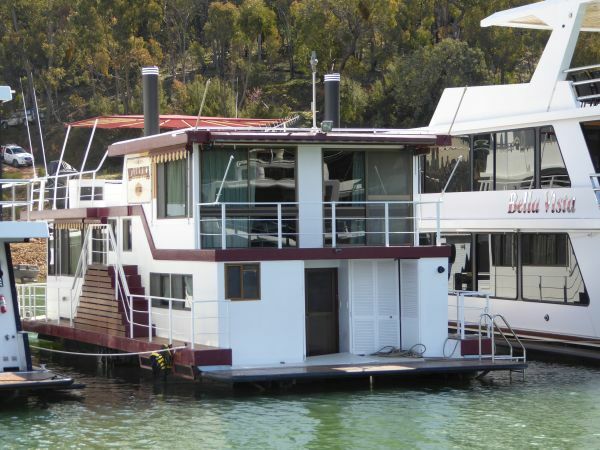 Warriuka presents this opportunity, but with the reliability of a sound Volvo Penta V8 motor to take you anywhere on the Lake. 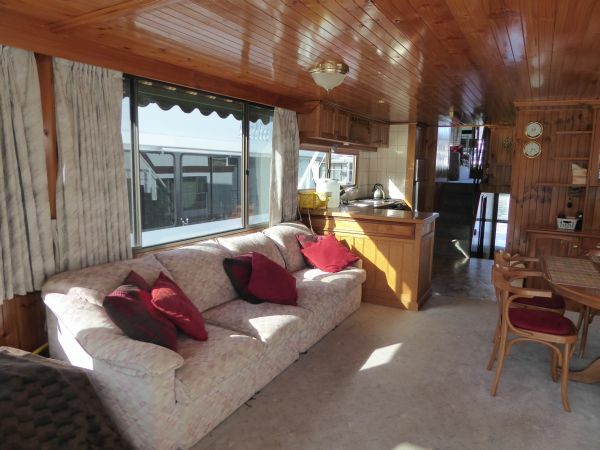 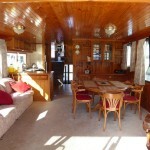 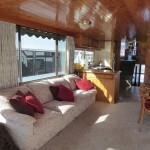 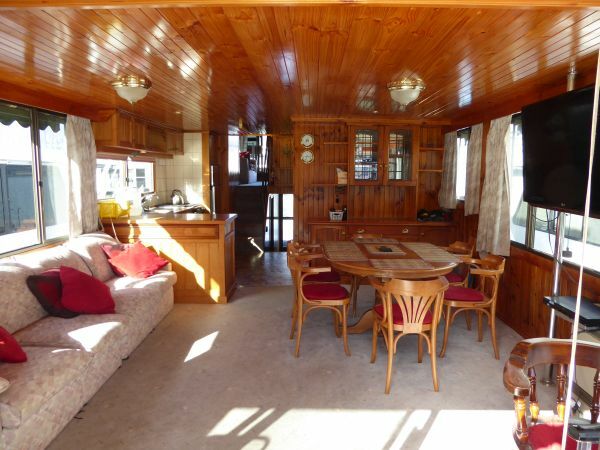 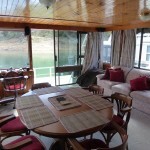 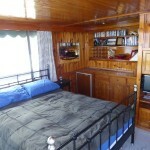 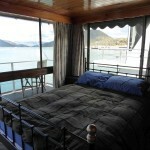 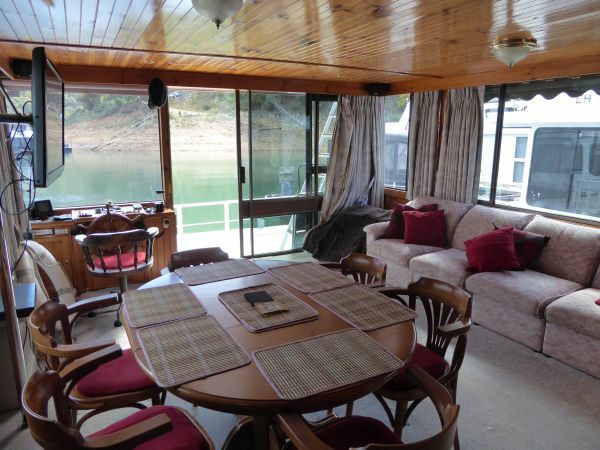 Warriuka provides much more as your family’s holiday home on the water. 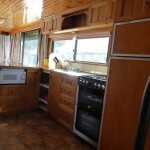 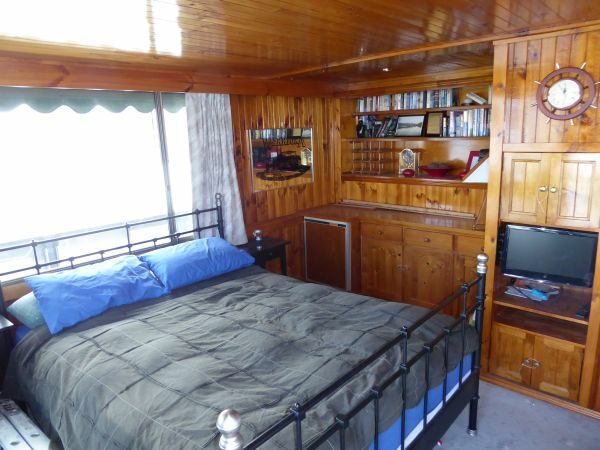 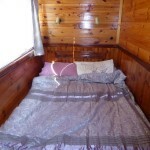 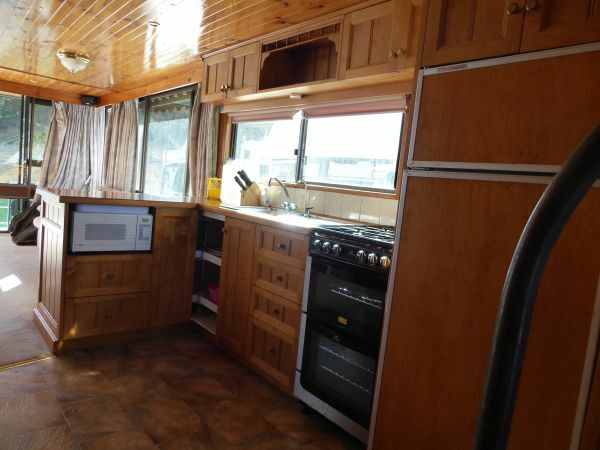 Warriuka has front lounge, well appointed kitchen, four good bedrooms and two bathrooms. 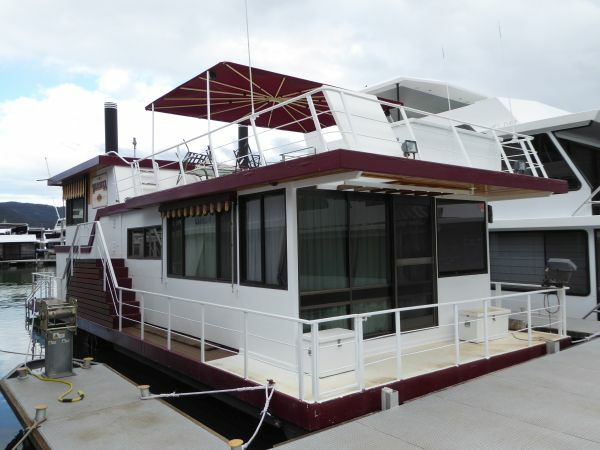 Recent upgrades include the hydraulic duckboard, new hot water service, extra solar panels and a fresh coat of exterior paint. 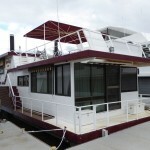 Warriuka has just been slipped with pontoons and motor leg serviced. 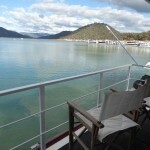 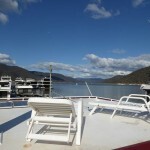 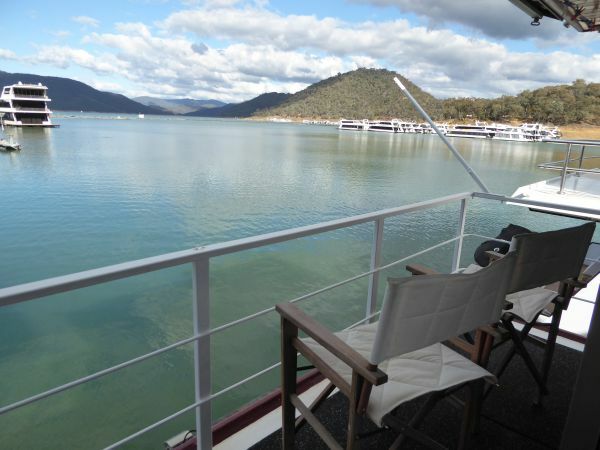 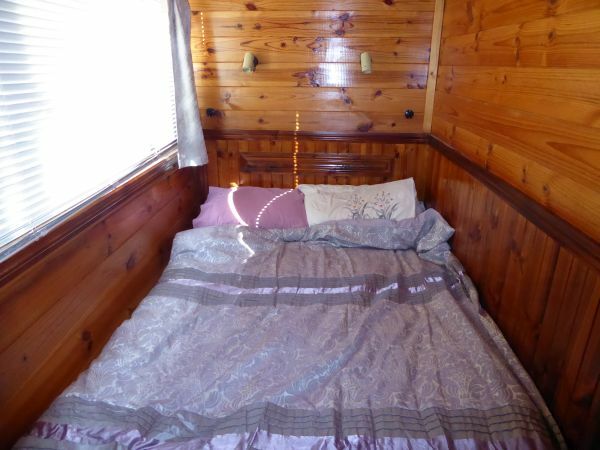 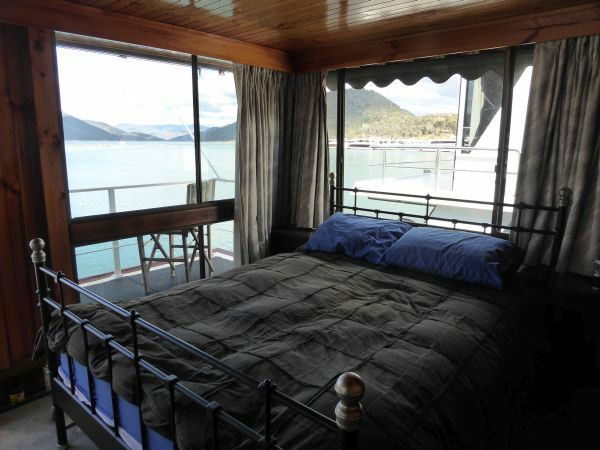 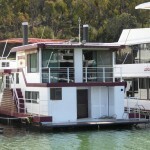 Warriuka will make a great first family holiday home on the water of magical Lake Eildon. 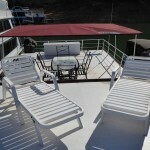 Solar Panels: 2lg 1sm 1vsm. 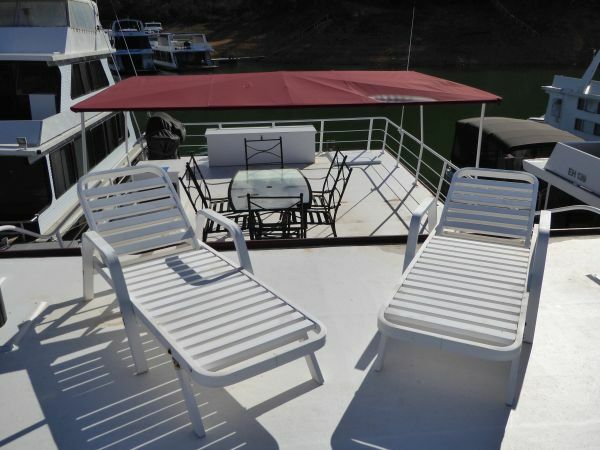 Other: Recent upgrades include the hydraulic duckboard, new hot water service, extra solar panels and a fresh coat of exterior paint.